T The Spanish government announced that information had been provided to the US federal authorities that had been obtained during the raid on the North Korean Embassy in Madrid last month. 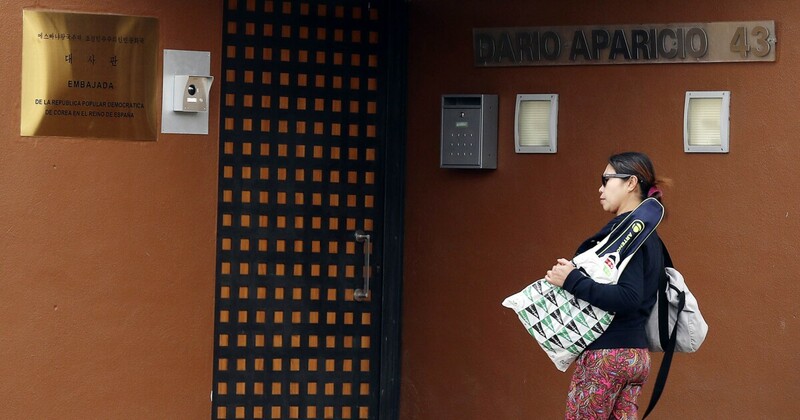 Court documents released by Jose de la Mata, a judge at Spain's highest court, showed that one of the participants in the raid on the North Korean Embassy in Madrid flew to the US on February 22, offering all material to the FBI were seized in the raid. The Spanish government investigating the case did not say if the FBI accepted the documents. The court found that the self-proclaimed human rights group involved in the ambush of the embassy was guilty of a variety of crimes, including trespassing and burglary. The court says that Mexican, American and South Korean nationals were involved in the raid. The group has stolen numerous documents, computers, servers and data carriers from the North Korean government. The judge says the group that carried out the raid called itself "members of an association or movement of human rights for the liberation of North Korea." Documents released by the courts said that the group urged embassy officials to cancel North Korea and seek political asylum in Spain. The FBI said in a statement that it would not comment on possible ongoing investigations, but said, "The FBI is working closely with our Spanish law enforcement partners." Spanish government.